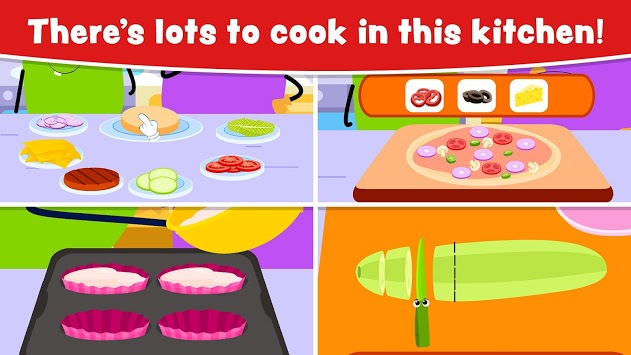 Become a professional chef in your very own kitchen with this guided cooking game for kids. Prepare delicious dishes and serve it to the customers. FUN experience for kids is guaranteed! If you are in search in for a fun baking and cooking game for your kids & toddlers, then this is the perfect app for you! These fun restaurant games will give your toddlers endless play time. Become the next big chef by playing amazing cooking games! 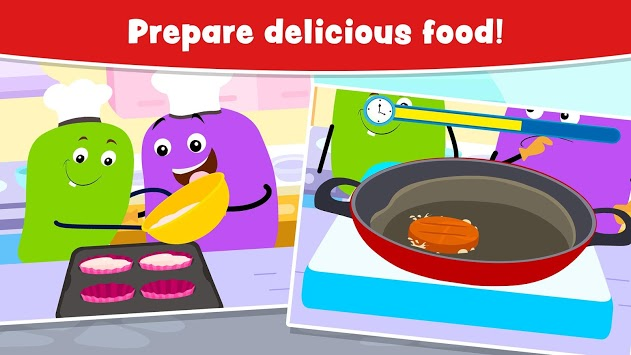 🍔 Cooking games for kids and toddlers have an interactive user interface. 🍔 No internet required. Kids can enjoy this game anytime, anywhere. 🍔 Cute animations and hilarious reactions from the characters! 🍔 100% Kid safe environment. You don't have to worry about your child stumbling upon unsafe content! 🍔 You can enjoy playing with this app for FREE! 🍔 We have NO ADS or annoying pop-ups in this app! - Kids will learn various recipes which they can recreate in real life along with parents! Make burgers, pizzas and cupcakes!! - Watch Obbie transform into various kitchen tools! Kids will learn the purpose of kitchen tools through these games. - Kids will learn to make the right choices of ingredients. - Learn how things work in a restaurant's kitchen - the fun way! - Kids will enhance creativity and imagination while playing with Obbie and all the awesome animals! 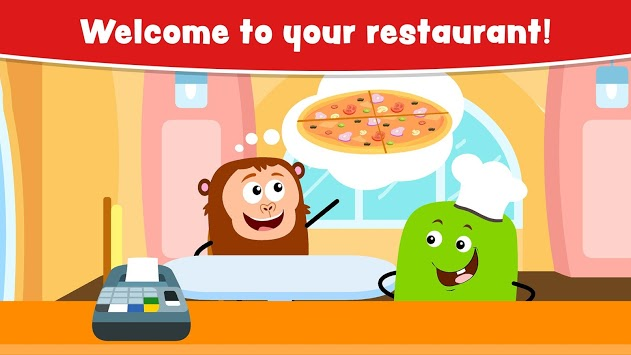 So go ahead and DOWNLOAD the app NOW to have fun in this restaurant! We hope that you are learning and polishing your cooking skills with this app. In this new update we have enhanced the performance of the app. If you like playing this game, then please give us a 5-star rating. We would love to hear from you.